In Colorado, we use a variety of methods to heat our homes. A hot water boiler is an appliance used to heat water, and send it through a hydronic heating system. The hot water is then distributed through the home in pipes, either through a radiator system, or through a baseboard convector system. While using a hot water boiler system is an efficient way to heat your home, like any appliance, there are occasional needs for maintenance and repair. Occasionally the system may appear to not heat up to temperature properly. Sudden changes are often caused by improper water levels in the boiler, while a more gradual problem may be due to mineral deposits in the boiler or heat exchanger. The system may need to have water added, or to have the system flushed and cleaned. This could be caused by a faulty pump, a faulty pressure relief valve, or leaking in the water pipe connection. Most of these repairs can be handled easily by your local plumber. Your plumber will determine the root cause of the problem, and correct it to eliminate further water leakage, and return your system to normal function. Noise in the pipes is a sign of a growing problem, one that should be fixed quickly to avoid further damage. Possible problems include a faulty circulator pump, or water trapped in the return lines. The circulator has a spring-loaded coupling that connects the pump to the motor. When the pump jams, this coupling may break, causing a load noise as the motor runs. Over time, the pitch in the return lines may change, causing the water to become trapped. 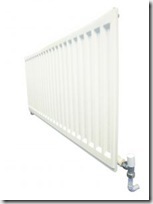 Adjusting the pitch of the return lines or the radiator will usually fix the problem and stop the noise.